Mineral Feeders or Mineral Licks are very economical and low maintenance means of provide essential minerals to you livestock. Keep a steady supply of minerals in a mineral feeder or lick feeder for a healthy animal. Below is a great article from Working Ranch about the importance of getting your livestock the minerals they need during the winter months. and the attention to the type of supplement quality and quantity. Barn World also carries a large selection of feed troughs and grain feeders as well as solid mineral feeders and lick tanks to help ensure the proper nutrients are a part of the diet. These feeders are an extremely effective way of making sure your livestock have the important nutrients they need at all times. From ground mineral feeders like the Dura Life to the wind vane style mineral feeders like the upright mineral feeder, Barn World has the tools to make sure your animals remain healthy all season long. Minerals are important for herd health, reproduction and efficiency during winter. However, that is only part of the picture. Extra protein and energy are vital during cold, wet weather. Producers should also be aware of forage and by-product supplementation quality, as well as body condition scores. He also recommends that producers analyze samples of supplemental feed such as gin trash, cotton seed, or distiller’s grains. Typically low in winter forages, phosphorus is a mineral that’s vital for bone and teeth development, and metabolic, neurological and cellular functions in cattle. It’s also one of the most expensive minerals to supplement. According to Rasby, reducing or omitting phosphorus from the mineral package when feeding distillers grains can save money. Get advice from a nutritionist or beef extension specialist about adjusting nutrient values when feeding these supplemental rations. In addition to minerals, protein and energy, utilizing body condition scores (BCS) is a management practice that cow/calf operators can implement on a regular basis. Scores range between one and nine with one being a very poor specimen and nine being obese. Rasby adds, “Having mature cows in condition score five at calving not only has an impact on what happens at calving, but also on how quickly those cows are ready to rebreed after calving. Those first-calf heifers probably need to be in a little bit better condition, say conditioning score six. “Cows that breed early in the breeding season are in the right nutritional status. Their calves are older at weaning and generate more dollars,” explains Rasby. He analyzes feed, grains and commodity by-products, seeking advice from a nutritionist to adjust his mineral program as needed. Yon finds that his cattle have a more consistent consumption if he allows free choice at all times. He says, “Know what the consumption rate should be and monitor that. In our part of the world, a covered mineral trough is important so the mineral doesn’t get wet, cake up and the cattle don’t eat it. To find a list of certified feed testing laboratories, check out: www.foragetesting.org. Here is a great article from Working Ranch about the importance of getting your livestock the minerals they need during the winter months. and the attention to the type of supplement quality and quantity. Barn World’s carries a large selection of troughs and grain feeders to help keep your livestock healthy. Barn World also carries a large selection of mineral feeders and mineral licks to help ensure the proper nutrients are a part of the diet. A mineral feeder is an important part of facilitating the absorption of minerals. During this time of year, it’s important to keep your animals well nourished to keep them healthy. Barn World has a huge choice of mineral feeders for all types of livestock. Make sure your animals are healthy with a Barn World mineral feeder. Ground Style Mineral Feeder – This feeder is the largest and heaviest in the business. It’s not suprising then that it’s also the most durable. 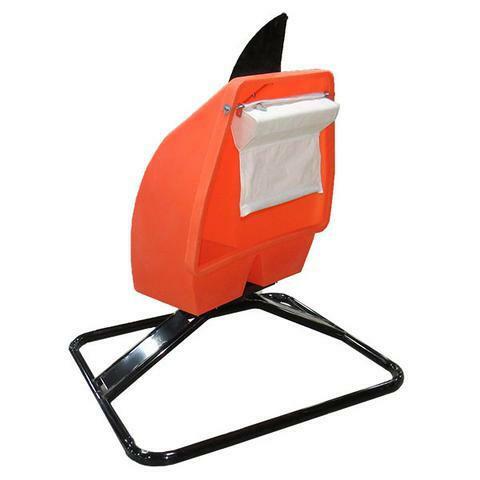 It’s effective for horned cattle, has a 3/8” heavy duty 41” flap, is 38” wide, 15” tall and weighs 53 lbs! It comes with three compartments that carry 200 pounds of salt or mineral. Upright Mineral Feeders – The large mineral feeder rotates 360 degrees to protect your expensive supplement from the wind and weather. It sits on a 48” square tubular base and is constructed from 2” – 16 ga. steel tubing at 50,000 psi for the best stability and strength possible. 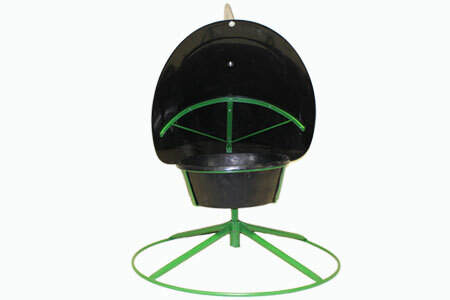 The top lip at the bottom of the feeder is 23” above the ground to allow calves easy access. The hood opening is beveled and is 28” x 24” so even the biggest cattle can easily get their nourishment. This feeder weighs 73 pounds. Mineral Feeder Wind Vane – This unique mineral feeder is a free standing polyethylene feeder. It’s approximately 3′ tall and has 3′ legs to allow a full rotation to protect it’s contents from the wind and weather. The rubber mineral tub holds 100 pounds of mineral bulk. 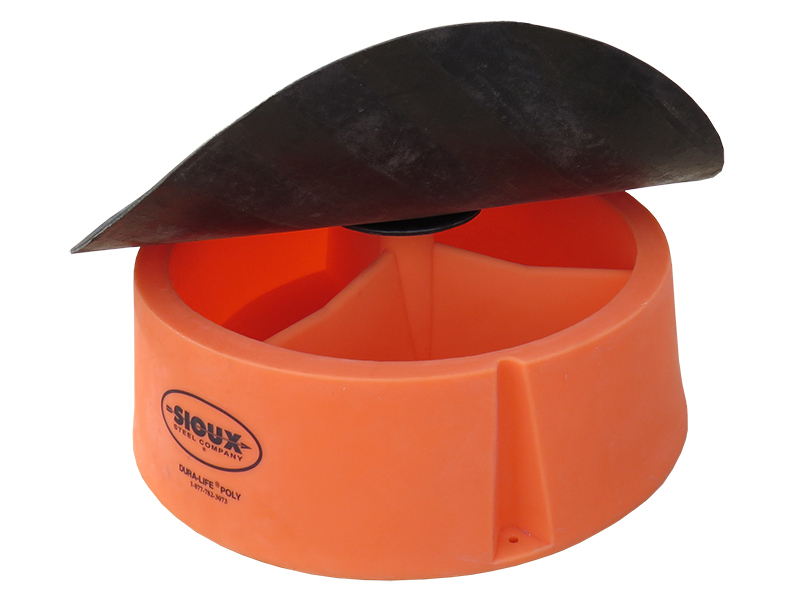 Liquid Feeder – our 280 gallon liquid mineral feeder includes two lick wheels and mounting brackets. Made from a sturdy plastic with heavy rib construction, it stands up to abuse and will not rust, corrode or rot. Make sure your livestock are getting the supplements and nourshiment that they need all year long with a mineral feeder. Visit www.BarnWorld.com or call (720) 238-2190 for all your livestock equipment needs.